Dalton Point made from banded Flint Hill chert. It was found by Darrel Wilson on 13 July, 1991, in Riley County, Kansas. The Dalton dates to 8900-7900 BC. 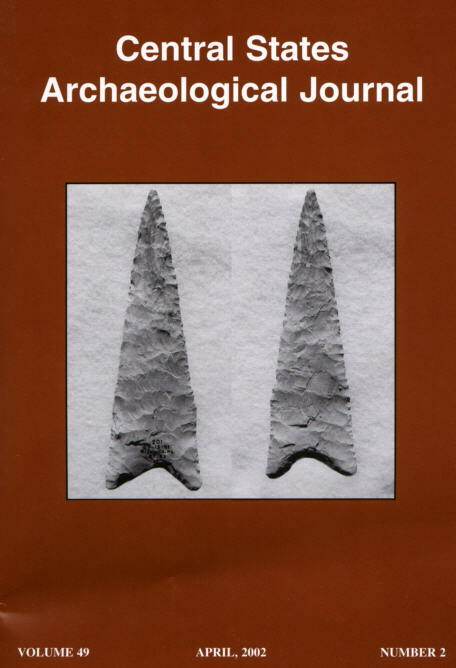 This point was chosen by the Kansas Archaeological Society to represent its state on our cover. From the collection of Darrel Wilson. It is shown actual size.